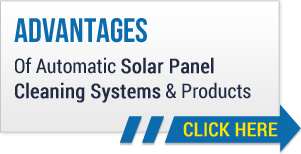 Securing solar panels is easy with our line of solar panel fasteners. Heliotex offers the very finest in anti-theft fasteners, specially cut security bolts, security screws and more. ProSolar and Unirac security fasteners are far superior to solar panel alarms, and are favorites of both our residential and commercial customers. 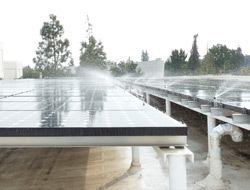 Our solar panel security systems will offer the protection you need for the panels you have installed at your home or business. We’ll help you to choose the security accessories that work best for you, and think you will find them as affordable as they are effective. Our experienced professionals are here to help you protect your investment, and given the investment you have made in your solar panels this is very good news indeed. At Heliotex, we are well aware of the importance of securing solar panels. Often times taking security measures can slip the mind of a new owner of solar panels, which is why Heliotex is always reminding our prospective and current customers of the importance of panel security. Learn more about our residential solar panel security systems, and make certain your panels are protected in a way that will ensure their security for a long time to come. We look forward to helping you achieve this level of protection as we have for countless other customers who are now relieved that they took the right precautions. When you think about it, an alarm system for your solar panels really doesn’t prevent a theft attempt at all. It can notify you of the attempt itself, but that still doesn’t mean it won’t be successful. Anti-theft fasteners, on the other hand, actually make your systems secure and act as a preventive measure against theft itself. Fasteners make a far more effective tool against would-be thieves, and we invite you to learn more about the options available to you at Heliotex™.